A student who wishes to withdraw from the College must contact the Associate Dean of Students in the Office of Student Development to complete an exit interview and the proper paperwork. During the exit interview, the student will receive information about separating from the College and about options for reinstatement, if appropriate. Students receiving financial aid are encouraged to meet with the Office of Financial Aid (please see the College's refund policy in the Expenses section of this catalog for complete details about refunds and financial aid). Students withdrawing during a quarter on campus will receive a grade of W for all courses in progress at the time of withdrawal. In rare instances, a Leave of Absence may be granted to students experiencing significant hardship (including, but not limited to, medical, mental health, or family-related issues). This is a status conferred by the Associate Dean of Students and may require documentation. Any student granted a Leave of Absence during a quarter on campus will receive a grade of W for all courses in progress at the time of withdrawal. Although the College considers a student on a "Leave of Absence", for purposes of enrollment reporting to state and federal agencies, such a student is reported as withdrawn/no longer enrolled. This is a requirement of student financial aid programs. Such agencies will be advised when the student is reinstated for continued coursework. A Leave of Absence may be granted for up to one quarter, but a student may request an extension of one additional quarter. If a student is unable to return after the extension, the student will be withdrawn from the institution. Reinstatement following a Leave of Absence is subject to review by the Office of Student Development in consultation with the Health and/or Counseling staff. The Academic Standards Committee meets at the end of each quarter to review student grades. Students experiencing academic difficulties may be placed on academic probation or, in certain cases, dismissed from the College. (See the section on Academic Progress for more information about types of probation and academic dismissal.) Actions taken by the Academic Standards Committee may be appealed by submitting a petition for reconsideration. Appeals will be heard by the Academic Standards Committee, and its decision will be final. The College reserves the right to administratively withdraw a student who does not return to campus for a planned on-campus quarter, whose enrollment falls below two units, or who fails to satisfy or make arrangements to satisfy any financial obligations. 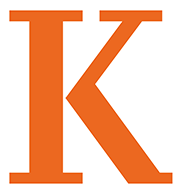 Kalamazoo College is committed to the well-being and safety of its community members and to the integrity of its learning environment. The College may require a student to take an administrative withdrawal or leave of absence if the Vice President for Student Development and Dean of Students or designee deems a withdrawal necessary to protect the health and safety of the student or others or the integrity of the learning environment and campus community. Examples of such extraordinary circumstances include, but are not limited to: suicidal threats, self-starvation or purging behavior, ongoing substance abuse or addiction, serious threats of harm to others, or disruptive or destructive behavior. Similarly, a student who is not functioning as a student (attending classes and completing academic work) may be administratively withdrawn by the College. Before a required administrative withdrawal is considered, the Vice President for Student Development and Dean of Students or designee will encourage the student to take a voluntary withdrawal. This policy and associated procedures do not take the place of disciplinary action associated with a student's behavior that is in violation of College policies, standards, or regulations. This policy is to be invoked in extraordinary circumstances in which, at the discretion of the Vice President for Student Development and Dean of Students or designee, the regular disciplinary system cannot be applied or is not appropriate. The procedures related to this policy appear in the Student Handbook. A student who withdraws, is withdrawn, or is dismissed from the College may apply for reinstatement. In order to return to the College from a withdrawn or leave status, a student must make a request in writing to the Office of Student Development. The College reserves the right to require, review, and approve documentation that the student is qualified and ready to return to academic work. Students applying for reinstatement must do so no later than thirty days prior to the start of their anticipated quarter of return. If a student withdrew from the College while on academic probation or was dismissed for academic reasons, the application will be forwarded to the Academic Standards Committee for review. Students must indicate in writing how the problem that led to probation or dismissal has been resolved or addressed. In the case of a voluntary withdrawal for medical/psychological reasons, or any administrative withdrawal under this policy related to a physical or mental health condition, the student must submit a Health Care Provider Report from a treating health professional as part of their request for reinstatement. Kalamazoo College Student Health Center and/or Counseling Center may require a release from the student to discuss current treatment and follow-up needs with the treating health professional, in order to assess whether the student is qualified and ready to return to the College and whether the College can provide the follow-up care needed to maintain the student's enrollment. Kalamazoo Health and Counseling professionals will review this information and recommend to the Dean of Students or designee approval (with or without conditions of treatment, education, counseling, or other) or denial of the reinstatement. After consulting with College health professionals and/or other appropriate College officials as necessary to facilitate an informed decision, the Dean of Students or designee will make the final decision about reinstatement. In all cases, in order to return to Kalamazoo College, a student's financial account must be in good standing and any enrollment fees paid. Students who interrupt their course of study for more than one academic year must, upon reinstatement, consult with the Office of the Registrar. The Office of the Registrar will make a determination about whether the student will follow the degree requirements of the Academic Catalog under which they were first enrolled or the catalog in effect when they are reinstated.